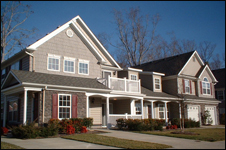 Claiborne Condos, City of Williamsburg, Virginia. Built by Franciscus Homes from 2002-2004 . 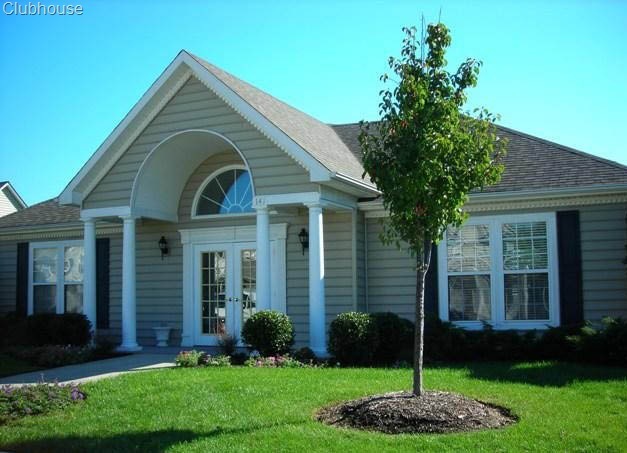 The Claiborne Condo community offers town home style condos located in the City of Williamsburg, VA. There are numerous floor plans available including ground floor models, second floor models and two story models. Square footages range from 1400 to 1,700 square feet of living area. Almost all are two bedroom models. There were first floor master bedrooms offered in some of the floor plans along with one car garages although not all models had them. Prime Outlets ,restaurants, shopping, and Colonial Williamsburg. 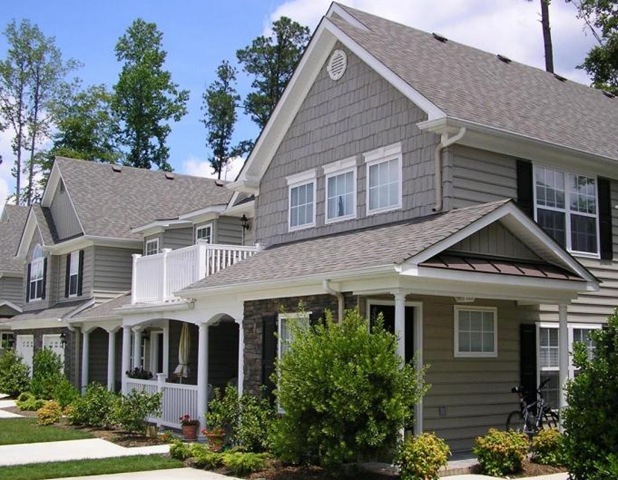 If you tour the condo communities in Williamsburg VA you will notice a certain similarity in quite a few. 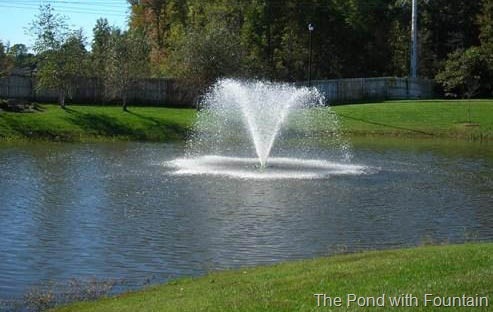 The reason being Franciscus Homes built most of them including; Claiborne, Bristol Commons, Fairway Villas, Braemar Creek and la Fontaine. Note :Although these are condos from the exterior they look like town homes. A townhouse is like a house in that the owner owns both the structure and the land on which it sits; but it is not free-standing, so “the land on which it sits” is limited to the front and back yards. Town homes are connected to one another in a row, and are usually one,two or three stories tall. It is important to note that townhouse refers to the type of house and not to the type of ownership. The ownership responsibility in a townhouse (townhome) is the same as for a house; however, there may be differing circumstances from development to development, city to city or state to state regarding who owns the outside walls, roof, etc. of the structure which must be verified with local authorities. Like townhouses, condominiums are attached to one another. If you own a condo, you do not own the land surrounding your living space. A condo owner owns only the unit itself, which is taxed as an individual entity, and sometimes a percentage of the common areas of the community. It is important to note that condominium (condo) refers only to type of ownership and is NOT a type of house. 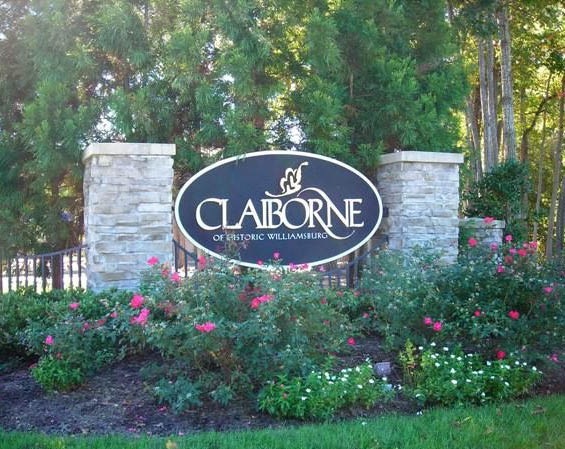 Claiborne offers it’s residents a beautiful clubhouse with outdoor terrace and walking trails throughout the community. There are approximately 120 homes in the community. The monthly condo/home owner fee in Claiborne is $165 . It covers all common Area Maintenance ( entrances, Clubhouse , all exterior home maintenance , all exterior lawn maintenance and some insurance. Claiborne Condos make excellent second home options in Williamsburg with their all inclusive maintenance .